Double Chocolate Tiramisu Iced Coffee. 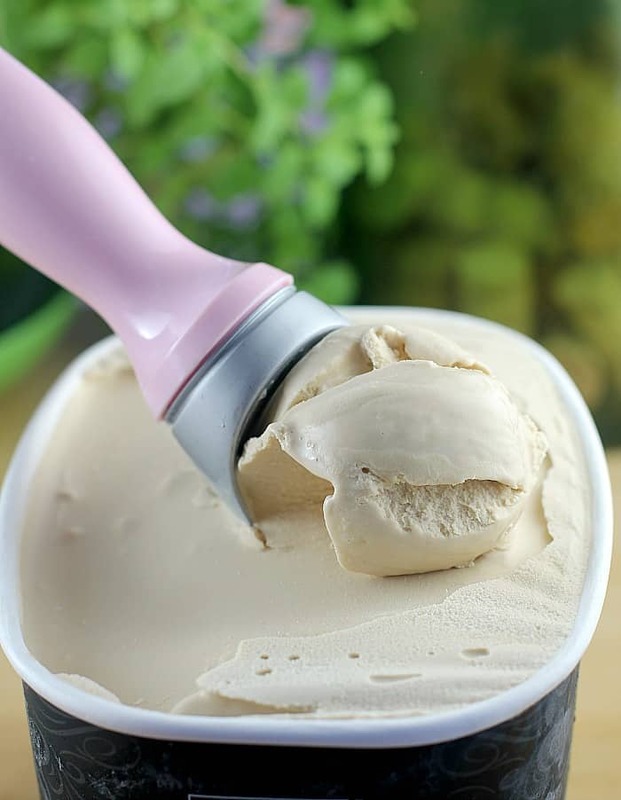 Robust iced coffee, poured over coffee ice cream and topped with a decadent white chocolate mascarpone cream. Finish with milk chocolate sprinkled on top and you have a cool, dreamy, inspired tiramisu recipe to savor. So this kinda-sorta tiramisu recipe happened the other day. 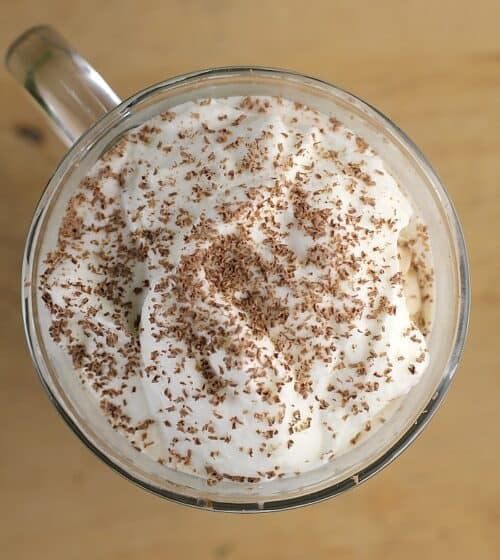 A luscious, delicious, creamy coffee dessert/drink/mug-of-heaven. 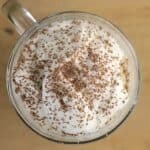 If you love tiramisu or sweet desserts with coffee flavors, you will want to try this recipe for certain. 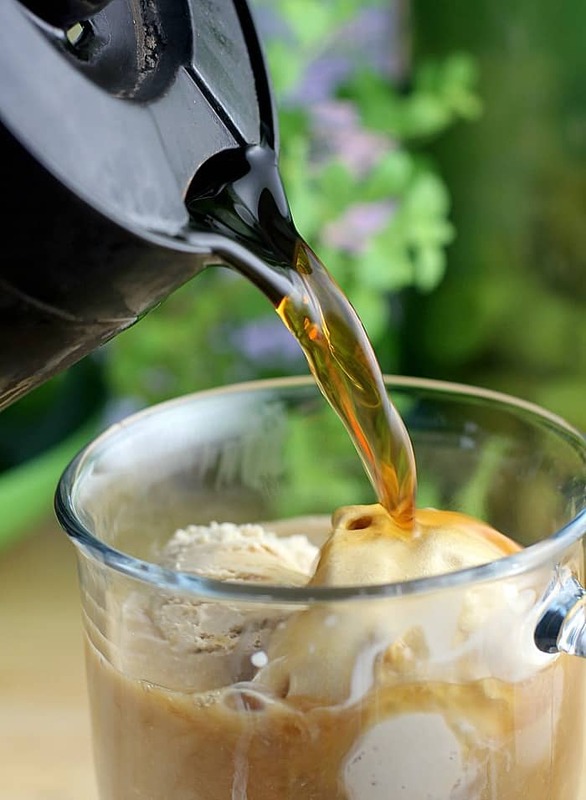 It’s kinda like a float, since it is coffee poured over ice cream. 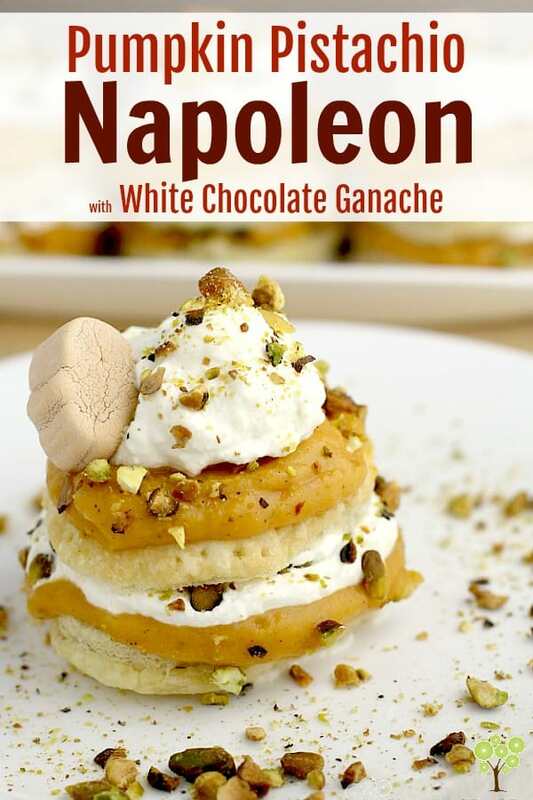 But the white chocolate cream, with rich mascarpone and whipped cream, are the ultimate divinity on top. Easy to make, pretty to look at, and such a treat to enjoy. The job: Folgers® Coffeehouse Blend. The task: make something cool with it. 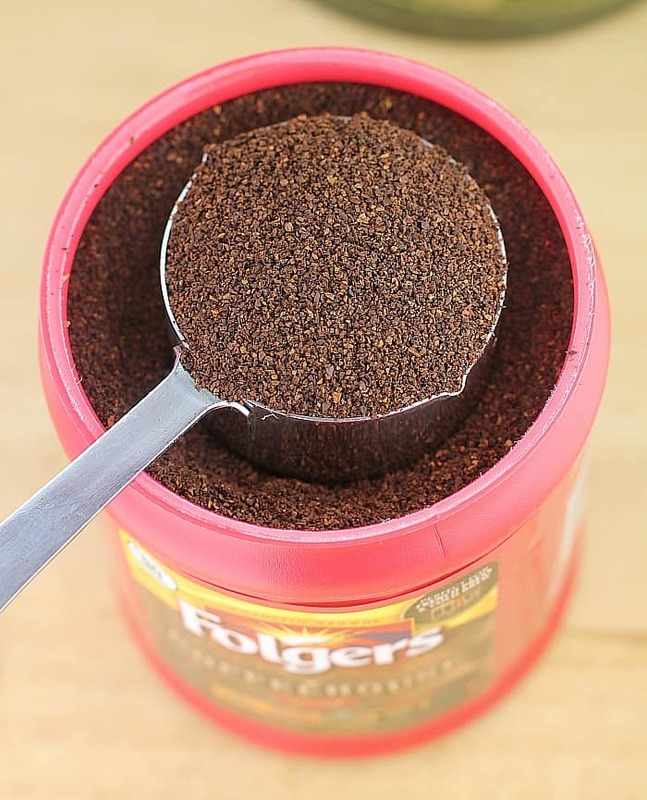 This new Folgers is a medium-dark roast, so it starts smooth but finishes bold. So it holds up perfectly even when you add stuff, like a couple scoops of ice cream and a ladle of creamy cream. This also makes it a great choice for French press, cold brew, and brew over ice. Point is, if you want to do something fun with coffee like this dessert, Breakfast Blend ain’t gonna cut it. You need to go for something stronger. 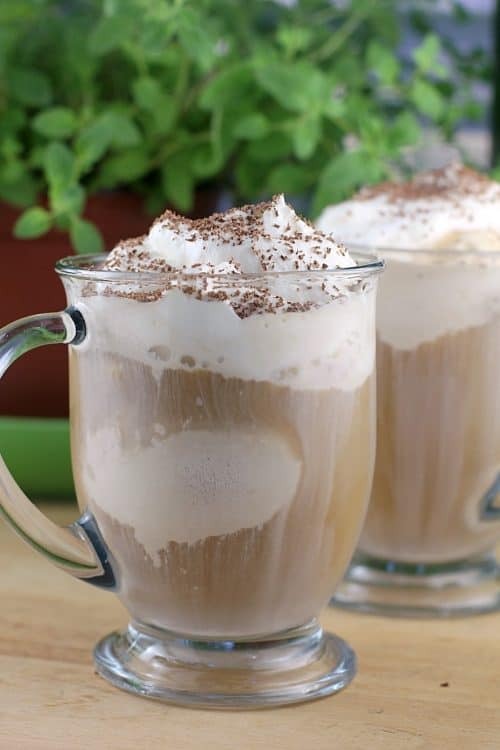 So what I did here is easy for this sweet coffee that is so reminiscent of a tiramisu recipe. I just brewed the coffee and stuck it in the fridge to chill after. Then I melted some white chocolate and whipped it into some mascarpone. Then I folded in whipped cream into that to make the white chocolate cream of my dreams (that sounds ridiculous, I know. But I don’t care). Then I just put it all together: ice cream, coffee, white chocolate cream, and topped with grated milk chocolate. So, that’s it folks! Double Chocolate Tiramisu Iced Coffee, a lovely treat to share with coffee, chocolate, and cream. One part ice cream float and one part exquisite Italian dessert for a fun new java. Robust iced coffee, poured over coffee ice cream and topped with a decadent white chocolate mascarpone cream. Finish with milk chocolate sprinkled on top and you have a cool, dreamy, tiramisu-inspired dessert to savor. 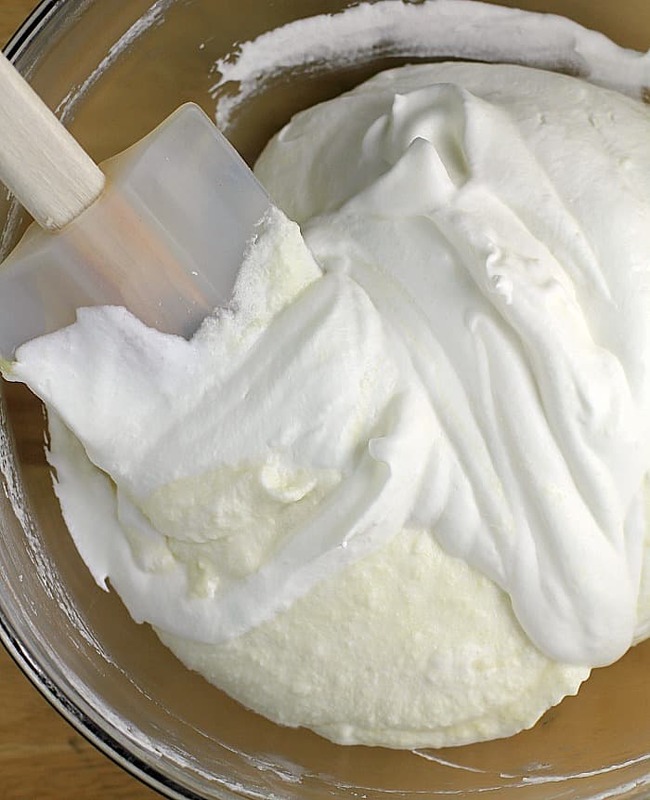 In a chilled glass bowl, whip the cream and sugar to medium soft peaks. Set aside in the refrigerator. 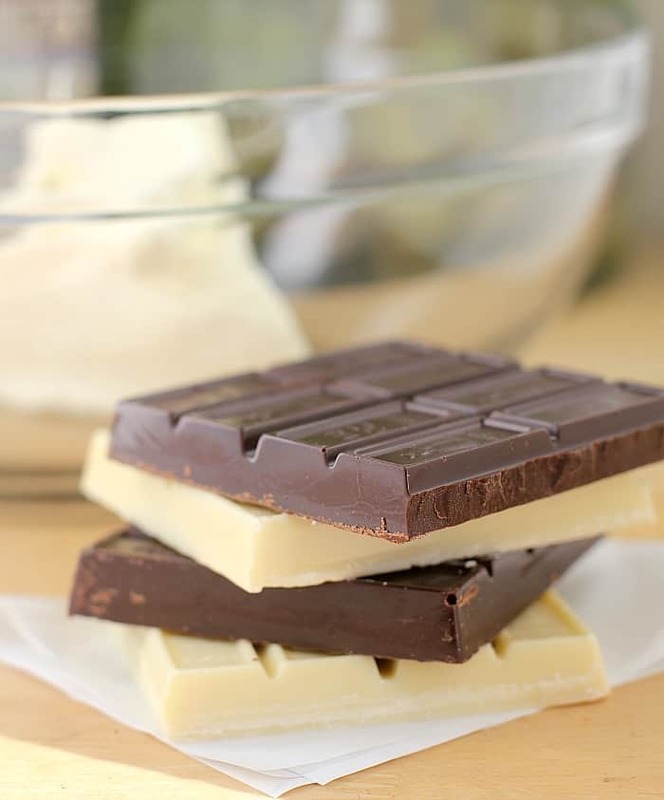 In a small glass bowl, heat the white chocolate in the microwave in 15 second intervals until just soft. Take care not to overheat the chocolate or it will break. To the melted white chocolate, add the mascarpone and whisk immediately until smooth. Fold in the whipped cream. 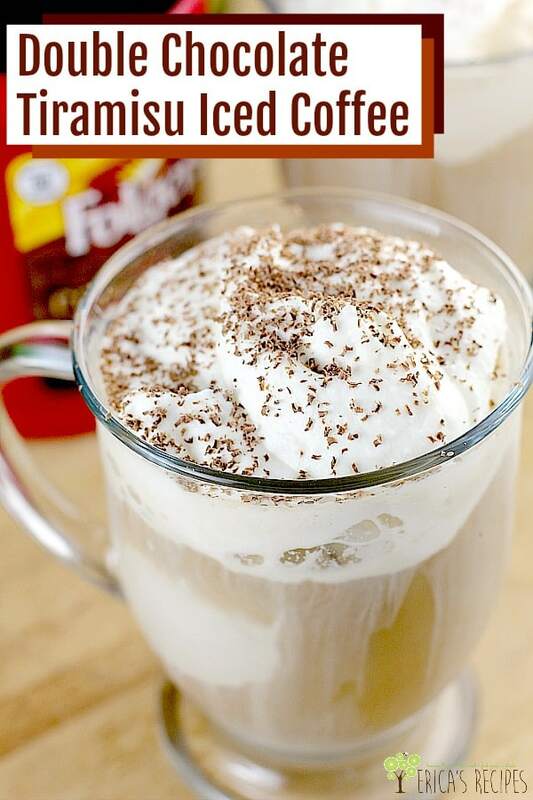 To assemble the coffee, put a couple scoops of ice cream in a serving mug. 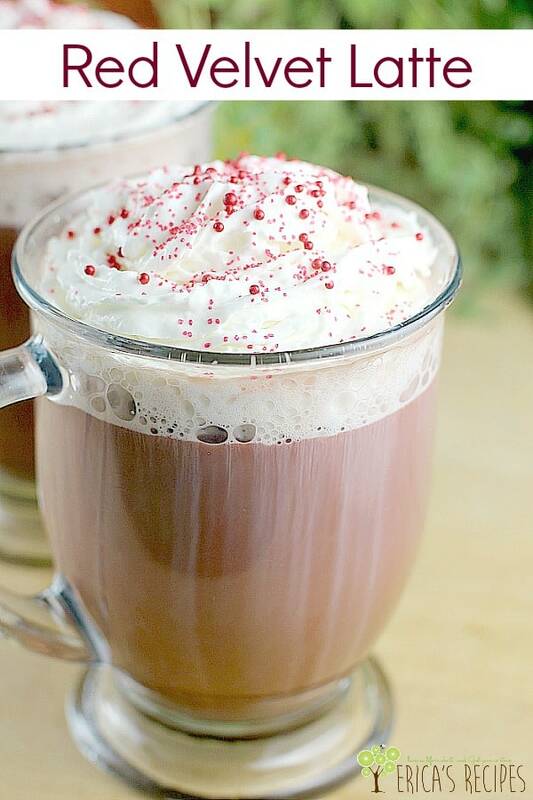 Pour the coffee over and top with the white chocolate cream. 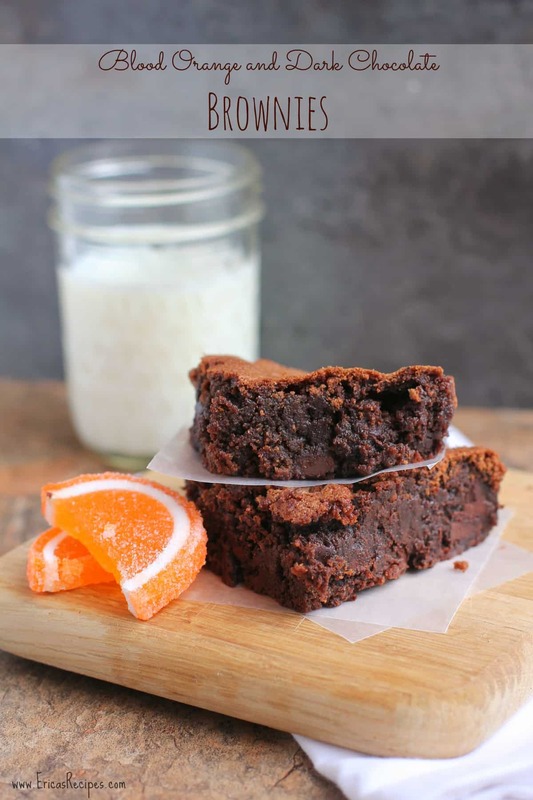 Top with grated milk chocolate. Yields 4 servings. 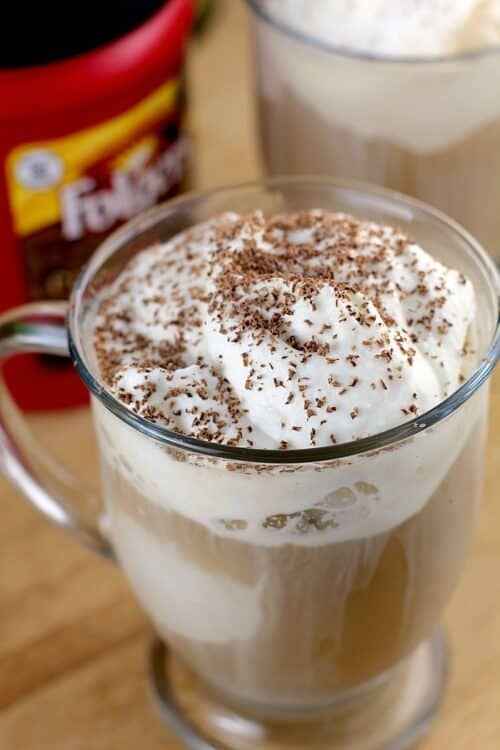 Coffee, chocolate, ice cream–this is my dream beverage. I love coffee all thoughout the day, but this will be a great evening treat. OMG you had me at tiramisu but not coffee, wowsa. Could you deliver one please. That looks like an awesome cup of coffee! It’s really perfect especially if you’re feeling a little under the weather! It’s a great treat to yourself! This is quite a coffee! It’s simple to make so I won’t have any issues copying the recipe! Thanks for this! I can’t wait to give it a try. Iced coffee is one of my favorites. I will have to give this recipe a try this weekend. It wil be perfect for this summer. Oh, yes! I would love this! 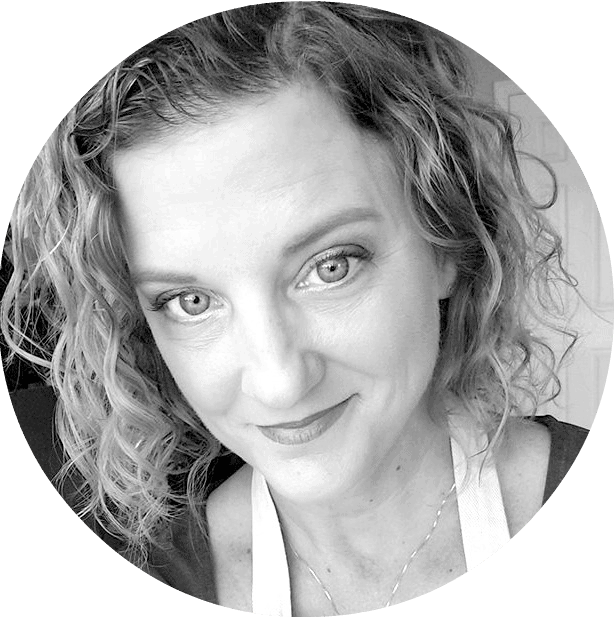 I am a huge fan of iced coffee and tiramisu. I want to try this right now! Oh my goodness! This is really absolutely delicious for sure! I want to try it now as in grab it from my screen! Your pictures are gorgeous. They really showcase your recipe here 🙂 So want to try this!! Oh, this is going on my recipe wishlist. I can’t wait to share it with my daughter. oh my goodness! This is so tempting, I wanna grab it from my screen! Bookamarking this recipe. Oh my word! This looks insanely good! Definitely have to try this one!